It seems the authorities are not the only ones going after dark web drug buyers. Someone is threatening to doxx (the act of revealing potentially incriminating and identifiable information about another individual) dark web users unless they pay off a small ransom fee in Bitcoin. 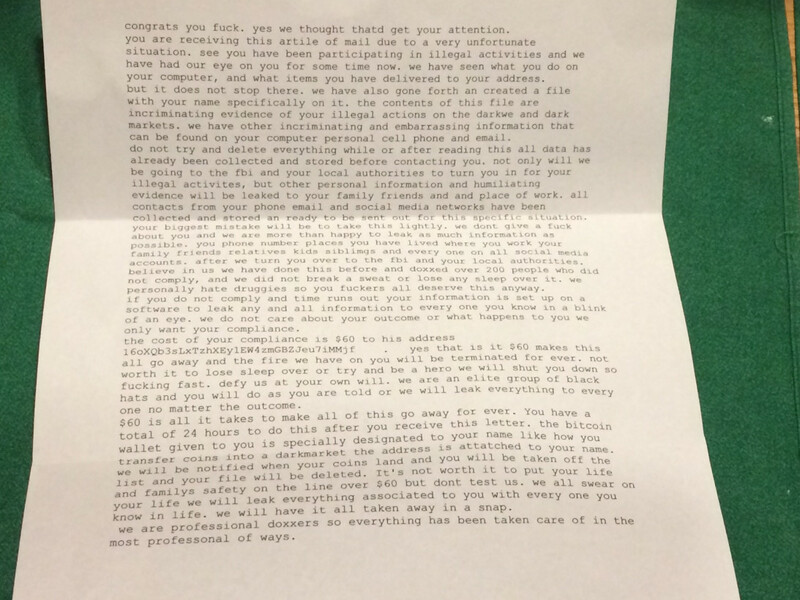 As the poster himself notes, the letter appears to be written by amateur scammers. Among other things, the writing is riddled with grammar and spelling mistakes; then there is the measly asking fee of $60 worth of Bitcoin. 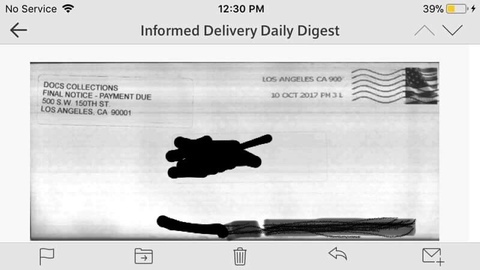 Another particularly rookie detail is the unusual – but extremely serious sounding – returning address, DOCS COLLECTIONS. The dark web Reddit community has similarly expressed little concern about the legitimacy of the treat so far, mocking and downplaying the attempt as a case of a vendor-gone-broke. It remains unclear how many users have received the extortion letter so far, but a quick lookup of the provided Bitcoin ransom address reveals almost nobody has fallen for it yet: The wallet has received only one $60 transaction so far. Another curious coincidence is that last week the dark web’s leading drug marketplaces all suddenly went offline – without any notification from the site administrators. What makes this whole affair even spookier is that, historically, large-scale dark web drug busts have often been preceded by DDoS attacks.